This coffee and chocolate dessert recipe from Tony Fleming produces a majestic concoction of contrasting textures and flavours, and is sure to liven you up after a blowout main. 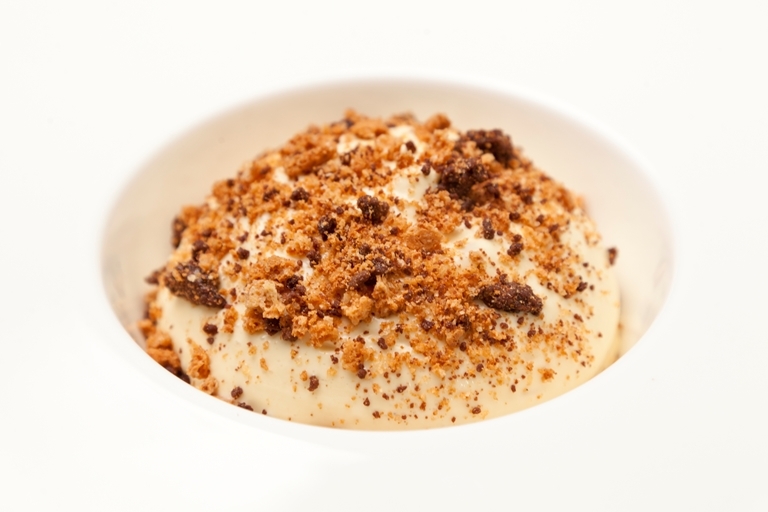 You will need an espuma gun to create the light, fluffy coffee foam for this dish. Tony Fleming built a reputation off sophisticated fish and seafood dishes at Angler, but now he's showing the full extent of his armoury at The Baptist Grill, where he cooks clever, comforting food – classically underpinned but with worldly influences.